Much of the talk among friends is of why God is allowing such a withering time for faithful Catholics. Despite the fact that this is incredibly difficult for all of us, that the faith seems to be daily mocked by those who are supposed to guard, teach and defend the faith, many of us seem to have rather a clear sense that, on some level, this has to happen. The wound needs to be cleansed before it can heal. What is clear is that the scum is really floating to the top. We know who is on what side, the battle lines are drawn ever clearer between those who love the Bride of Christ and those who want to change her into something else. Who will ever think Austen Ivereigh objective or competent after this papacy is done? How can Cardinal Joseph Tobin ever think anyone will take him seriously again after his "nighty night baby" tweet? (A quick look at Twitter these days reveals how every one of his tweets is followed by derision). Who can believe anything Archbishop Paglia says given his scandalous affirmations of homosexuality? Or notorious anti-theologian & Francis apologist Cardinal Francesco Coccopalmerio, who, it has now been revealed, was actually present at a homosexual drug-fuelled party raided by the Vatican police in the summer of 2017 at which his secretary, Monsignor Luigi Capozzi, was arrested. 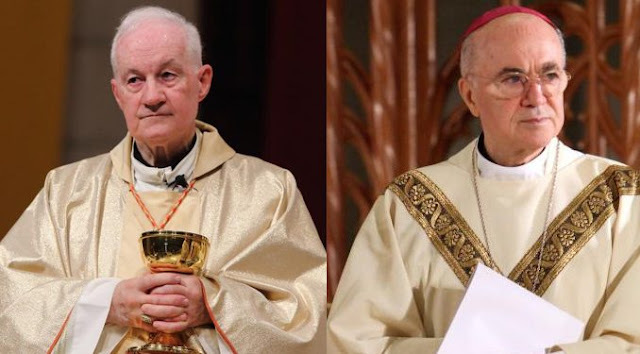 Just as Cardinal Ouellet was wheeled out to defend Francis against Archbishop Viganò, so Cardinal Coccopalmerio was wheeled out to defend Francis against criticism of Amoris Laetitia. The only difference was the inept Cardinal failed to turn up to his own presser. Back in July 2017, I lamented the pseudo-intellectuals Pope Francis surrounds himself with as a constant embarrassment to him. I had no idea how much worse it could get so quickly. 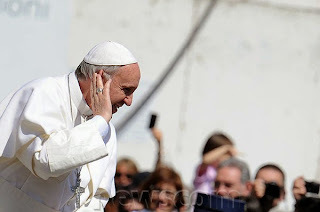 We know about ze Germans who recently seemed to be falling a bit out of love with Pope Francis, this could be because he reportedly "does not want to be the one to break the Church", which makes you think he has no problem with it breaking, he just doesn't want to be the one to do it! This does not fit with ze German plan, which is to retain as much Church tax as possible so that they can continue living in their nice palaces! Holnstein Palace in Munich, Cardinal Marx' "Pad" & the best Rococo Palace in Germany (apparently). Of course, the Pope's love of ze Germans, especially Cardinal Kasper, seems wildly at odds with the Pope's love of simplicity and the poor, Cardinal Marx was roundly criticised after he spent around $11 million renovating the archbishop’s residence and another $13 million for a guesthouse in Rome, this at the same time as the Vatican suspended Franz-Peter Tebartz-van Elst in 2013 over his alleged lavish spending. Rosica is the Vatican spokesman & CEO of Canadian Salt & Light TV, who seems unable to avoid embroiling himself in what can best be described as embarrassing polemics. He infamously made a legal threat against a small part-time blogger who wants to defend Church teaching. He has a long record of dodgy pronouncements and quasi-theology (for another example see here and here). 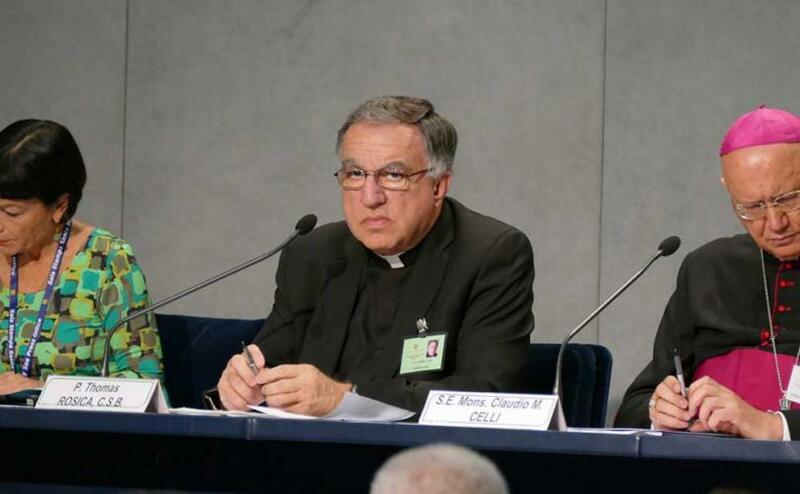 As LifesiteNews recently reported, Rosica also is notorious for his pro-homosexual views. More recently, Rosica was scheduled to say Mass for the pro-LGBT All Inclusive Ministries in Toronto but cancelled after news of the event was widely published (so a heretic and a coward). Rosica has preached a “mission” at the LGBT-friendly parish Most Holy Redeemer in San Francisco. Top synod organizer Cardinal Lorenzo Baldisseri said youth used the term in pre-synodal documents, but when LifeSiteNews debunked that claim, he said the acronym would remain despite the fact he lied. And then there's Cardinal Blase Cupich ninth archbishop of the Archdiocese of Chicago. 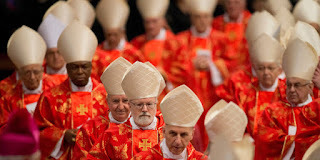 He is also a member of the Roman Curia's Congregation for Bishops, which plays a role in advising on bishop appointments and episcopal matters, as well as a member of the Congregation for Catholic Education. 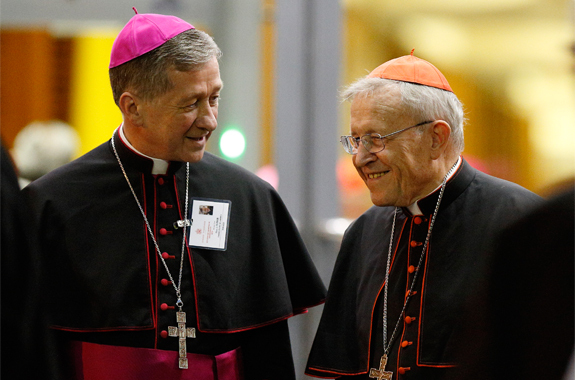 Cupich was the choice of Pope Francis to succeed Francis Cardinal George as Archbishop of Chicago on September 20, 2014. Needless to say he is a big backer of everything FrancisChurch. And just a couple of days ago he was on TV saying that, in direct contradiction to Bishop Paprocki it is not his policy to deny communion to gay "married" couples. Just how are the faithful supposed to respond when unity if one of the sacred marks of the Church? Why is Pope Francis so fond of James Martin, Thomas Rosica, Joe Tobin and Blase Cupich? What has Cupich done to warrant his elevation to such high office when, given his tweet about saints (above) he doesn't even seem to understand the most basic truths of the faith? Can we have confidence in such a man's governance? It seems to me, rather than elevating and lauding Cupich, Pope Francis should be censoring him?